I grew up in the Dutch countryside, where bragging is frowned upon. You’re not supposed to talk about your achievements, and success seems almost a dirty word. So, the idea of writing my own success story seems bizarre. Yet, I’ve discovered that even an honest story about modest success can inspire readers and boost business. What’s more, you can write such a story without bragging, and without feeling self-conscious. You can be humble and still showcase your success. In my corporate career, defining success seemed quite simple. Another step up the career ladder. A salary increase. More people reporting to me. A place in the board. But while I seemed to be doing well, my career progress didn’t make me happy. I was losing connection with my self-identity. I merely pretended to be happy, with a smile painted on my face. Leaving my job initially felt like a failure. Why did I give up on my ambitions? But leaving my job was one of the best decisions I have ever made because it helped me to discover what success means to me. For an online business, it seems easiest to define success in number of social media followers, web visitors or the amount of money we make. But other signs of success excite me much more. I feel energized when I can help readers and clients find their writing voice, share their ideas, and discover the joy of writing. I feel happy when I find the right balance between work and relaxation, when I can take care of myself. Feeling at peace with myself and excited by my work may seem a modest form of success, but it’s huge for me. If you want to write a success story, start by defining what success means. You’ll probably find that success is a mix of hard numbers (profit, number of inquiries, business growth) and soft indicators such as feeling passionate about what you do and enjoying positive working relationships. And what does it mean for your clients? What’s the last action movie you saw? Or whose biography has inspired you most? And … what kept you watching or reading on? Inspirational stories are less about success, and more about how our heroes deal with setbacks, how they conquer their enemies and how they grow as human beings. Jack Reacher, for instance, deals with thugs to get to the truth. Tony Morrison wrote many bestsellers and won the Nobel Prize despite feeling like an impostor. Nelson Mandela survived imprisonment to help overcome apartheid. But adversity doesn’t need to be life-threatening, and success can be far more modest. Success isn’t a polished story. If you want to write a truly inspirational story, look for the gritty truth behind the success. Which obstacles did you have to clear away? Which adversity did you have to overcome? Don’t be afraid to show your own vulnerabilities because it makes you more human and more relatable, and it makes your success seem more achievable for others, too. Whether you sell a product or provide a service, your success is not just about you. Your clients’ success is your success, too. This is why testimonials are powerful sales tools, and normally you should include them on every web page—your home page, about page, and each sales page. However, when I launched my new course a couple of weeks ago, I didn’t have time to ask for reviews. Most marketers would think I am crazy to launch a course without a single review. But I was running out of time, and didn’t want to delay the launch until next year. So, together with my co-author Kathy Keats, I forged ahead and launched. Could I sell the course without reviews? Over 230 people from 39 different countries purchased the course already (thank you!). I wasn’t selling to strangers. As bloggers, you and I share our stories over time. When you share your knowledge generously on your blog, people come to trust your advice. And when you write from the heart, your passion and personality shine through. That’s how your success story, warts and all, builds over time. And that’s how readers come to know and trust you. Would you like to nurture a writing habit, too? And want to write with ease and joy? Check out the new course “Write It, Don’t Fight It: A Step-by-Step Course to Become a Prolific and Joyful Writer”. Thank you for your post, you are always so honest. I like the way leaving your career helped you get in touch with what success means for you. A little while ago an old school friend shared a blogpost where the writer talked about being happy with her “small life” i.e. one that does not have huge wealth or status but is comfortable for her, and I realised, I am (relatively) happy with that, too. I have so much, and it is enough! I have clients I love working with, exposure to new ideas, opportunities to keep learning, and the freedom to do all this and still have time for my family. Yes, to the “small life!” This is what I find, too. A lot of people talk about scaling up their business and pumping money in advertising, but I’m kind of happy with what I’m doing. I love writing and teaching, and I don’t want to spend my time managing a team, so I prefer to stay small. It’s just me. Sometimes, I find it hard to stay true to that because it seems like everyone tells you to grow bigger. But bigger isn’t always better! I always appreciate your comments and encouragement, Alison. Thank you. The small life … My heart began to beat faster as I read your comment, Alison. Because I have the same view on my life. A small life, but a big heart and in-depth knowledge—this is our favorite Henneke! Congratulations on the launch, Henneke! And I’m thrilled that you’re enjoying the course. Thank you so much for stopping by and sharing that. I’m so happy to have found some other “small life-rs” — I know there must be lots more of us out there :D.
Writing your own success story puts you in a spot where there is a very fine line between actually being inspiring and bragging. You’ve clearly explained how to subtly tell your stories while remaining modest and humble all the way. Client testimonials and reviews are also a great way to tell that your strategies work and of course building a relationship with your audience (like you do) helps us in helping them relate to us (because we’re genuine). P.S. There is a “be” missing in the sentence that you can find when you search the phrase “used to a struggle for me”. I am sorry I didn’t mean to correct you (you hold a high position for me!) but since it struck my eyes I thought of making you aware of it. Feel free to delete this P.S. part in the comment before approval (only the section above is what I’d like to display). Yes, it’s true that there’s a fine line between being inspiring and bragging. But I think when you’re honest on your blog throughout the year, when you show both your vulnerabilities and successes, then it becomes easier to stay on the side of inspiration and not cross into bragging. And even if you’d brag a little, people will forgive you? Thank you for pointing out the typo, I’m going to correct it straightaway! Sigh. Marketing. The bane so many of us struggle with. We are happy enough to recognize our flaws but so reluctant to embrace our strengths. But both our flaws and our strengths are what make us uniquely suited to serve a particular audience. Thanks for always being an example of that authenticity! I actually never think of what I do as marketing. I explain stuff and tell stories—no matter whether it’s in a blog post or on a sales page. I feel like readers are all grown up; they can make up their own mind and they know who I am, so I don’t feel I need to turn myself into a marketer or sales person. I can just be myself and tell it how it is without any need for embellishment. Content marketing doesn’t really feel like marketing to me, it’s more educational and more human. That’s such an important distinction. Readers get to know us and trust us when we share our stories, as opposed to thinking of it as ‘marketing’. I see the marketing as a side-effect of creating valuable content. You start with a mindset of generosity—a willingness to share your knowledge and genuinely help people, and the “marketing” follows naturally. I find it a much easier way to run and promote a business than starting from a marketing point of view. The name of your course is the way: write it do not fight it. Write your success story. Do not let ego fight you, warning you of bragging or boasting or gloating. People WANT to see your success and depriving them of your story is a greedy, self-centered act. Weird to think that way, but it is true. Super post Henneke. Tweeted. That’s a good way to look at it, too! I’ll remember that next time I feel self-conscious. Thank you, Ryan! The course is on demand and self-paced, so you can start any time and go as fast or as slow as suits you. You are right when you start writing about your success, it is difficult to remain modest, but it is very important. It’s best to start writing about your accomplishments without much bragging. It is better if you do a little modest in such paper. After all, the idea to bring to the reader is the methods and your way to success, not just to be happy for you. Be as practical as possible, so that in the end your story was useful and helped people reach the same heights as you. Yes, good point on including the difficult decisions and describing how you made them. I like that! 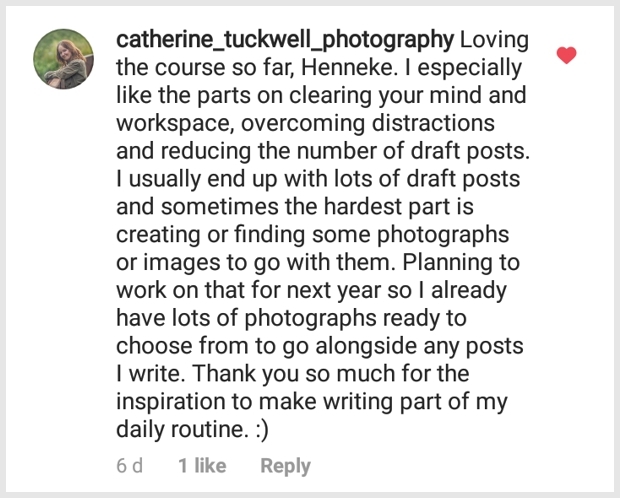 Thank you so much, Henneke, for another inspiring post! You always share so much of yourself, which I really appreciate. You are so right that success isn’t a polished story. That’s what usually makes our stories so interesting and uplifting to others. And I, also, have found teaching to be one of the most rewarding things I have ever done in life. Bravo for your pursuit of it with such passion and joy! Those of us on the receiving end of your teaching are lucky, indeed. And I feel lucky to have readers like you who leave such lovely comments. Thank you, Andrea! We cycled the Camino years ago before I got injured. It was amazing! People don’t read the words. People read mind of a person who is writing behind the words. 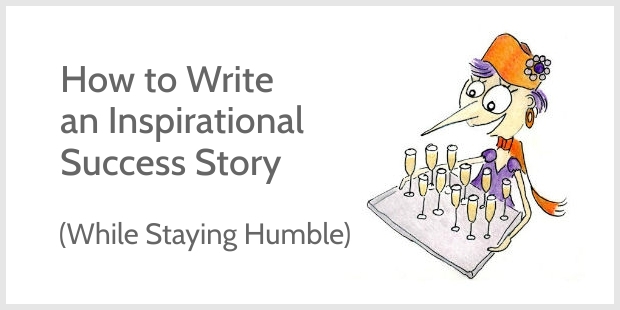 So, it helps to be honest when it comes to writing your own success story. I am big big fan of your writing style Henneke. Your success story truly inspires the aspiring writers. I find it amazing how we can sense what a person is like, just from reading their words. If they’re hiding or trying to make themselves bigger than they are, we can read it in their words. Thank you for your comment, Vinod. I appreciate it. I’m enjoying the course and want to say Congratulations to you and Kathy in making it. A work of passion—and revelation—from your writing journey, to help your readers/writers see what you’ve figured out along the way. It’s very powerful and I relate to sooo many of your stories and struggles to keep doing what you love, writing and helping people at the same time! I also love what you’ve proven about creating a great business without ever using any pushy marketing to do it. People want to support you and know without a doubt you will deliver valuable stuff no matter what so it makes it easy to “find” customers for your newest product. We absolutely want to be part of it!! Thank you so much, Sue-Ann, for your lovely comment. I am delighted that you’re enjoying the course! And like you, I also love being able to run a business without pushy marketing. It feels so much better to “market” my business in a way that feels good to me. In fact, I hardly feel I’m marketing at all! I feel grateful to have you as a loyal reader and friend. Thank you. What is success? There’s a good thought. I will sit and think a little. Initially, “What is success?” sounded like a simple question to me but I’ve come to realize the answer can require some deep thinking. And I still get distracted sometimes by other people’s definitions of success! Every time I read your blog post, there’s always a line that hits me. Plus, I have always been skeptical of sharing my vulnerabilities, but I realized that the majority of people support you. So it validates your point that it makes us human and relatable. I wish you all the best for your course. That was my own favorite line, too! I have struggled with the idea of sharing my vulnerabilities, too. I used to worry that people think I’m weak or that I’m whining, but people have suggested that showing vulnerabilities actually shows strength. I’m still hesitant sometimes, but I’m becoming more confident about it. For me, success isn’t the rags to riches story. As you say: It’s not “polished”. Sharing these little things can be much more inspiring to a lot of people because they can relate much better. For me, too, there’s a fine line between being proud of one’s one achievements and bragging. Here in Germany, it’s quite similar to what you described for the Netherlands. Everyone is quite eager to achieve something, especially in business, but talking about it or – beware! – being proud of it, is frowned upon. So writing your own success story even can have “therapeutic” value. It’s a form of mindfulness. Not only for your readers but also for yourself. Thank you so much for your comment, Christian. I like your point about writing a success story as a form of mindfulness. I’ve certainly found this to be the case. Writing can bring clarity and help make sense of what’s happening to in my life and what I find important. Since I’ve started writing my blog, I’ve learned so much about myself! These lessons are pure gold for any writer who wants to grow her influence. And I agree. The best taste of success comes when your work changes people. Keep up the great work, Henneke! Yes, I agree—it’s wonderful when your work changes people (or yourself!). Thank you for stopping by, Frank. Your wisdom is certainly respected and cherished. Thank you for sharing.